A number of amazing airmen contributed to the rise of aviation in Hawaii. 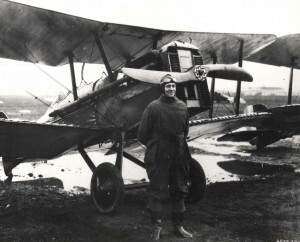 Lt. Ben Cassiday was the first person to parachute from a balloon on October 22, 1921. 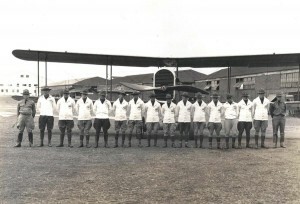 Civilian Charles Stoufer started a flying school in 1920 and delivered the first daily newspaper to Maui in October 1923. 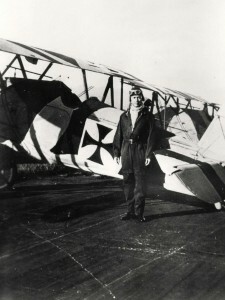 Sun Yet Young was the first Hawaii resident to earn a pilot’s license. Hickam Field was later named for Lt. Col. Horace Hickam. Navy Commander John Rodgers and his crew made the first trans-Pacific flight from San Francisco, California to Hawaii leaving on August 31, 1925. 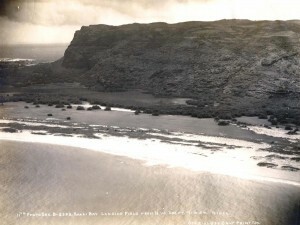 The PN-9 aircraft landed in the ocean 365 miles from Oahu, and the valiant crew sailed the craft to Nawiliwili Harbor on Kauai, arriving on September 10, 1925. The Territory of Hawaii dedicated its first airport on March 21, 1927, naming it after Navy Commander John Rodgers who made the first trans-Pacific flight in 1925. 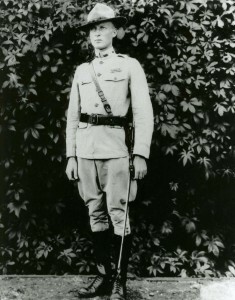 Lt. William T. Agee led 20 enlisted men of the 4th Observation Squadron from Ford Island to Schofield Barracks where they cleared land on the south side of the base for construction of buildings to be used by the Air Services Organization. 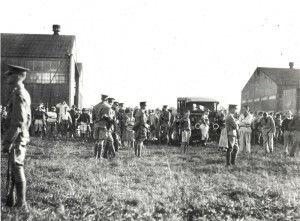 A permanent flying field was constructed at this site which was named Wheeler Field on November 11, 1922. The Hawaiian Division of the Army Air Service operated from Schofield Barracks, Oahu. 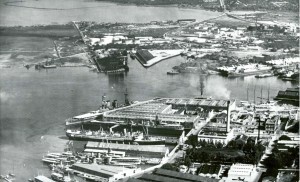 The Army and the Navy both operated their aircraft from Ford Island in Pearl Harbor. The Army facilities were named Luke Field. 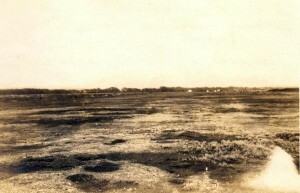 Landing fields started up throughout the islands during the 1920s and were owned by the Territory, the military and private operators. A variety of Army and Navy aircraft flew the skies of Hawaii in the 1920s. Ernie Smith and Emory Bronte were the first civilians to make the trans-Pacific crossing, leaving Oakland, California on July 14, 1927 in their Travelair plane, the City of Oakland. 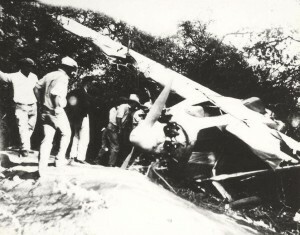 They ran out of fuel and crashed on Molokai on July 15, 1927. The plane was broken in two, but both men survived. 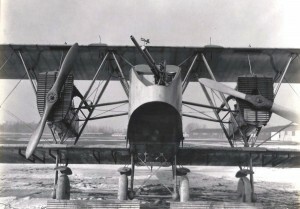 Army Lieutenants Lester Maitland and Albert F. Hegenberger made the first successful flight across the Pacific in a Fokker C2-3, landing at Wheeler Field, Oahu, on June 29, 1927. 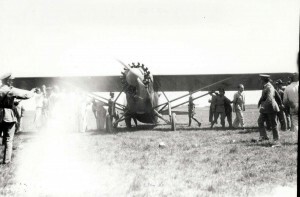 Honolulu businessman James B. Dole put up a prize for the first plane to cross the Pacific in the Dole Derby, August 16-17, 1927. Only two planes finished the Derby–the Woolaroc piloted by Art Goebel and the Aloha, piloted by Martin Jensen. Several planes didn’t get off the ground in Oakland, and several others were lost at sea enroute to Wheeler Field, Oahu. 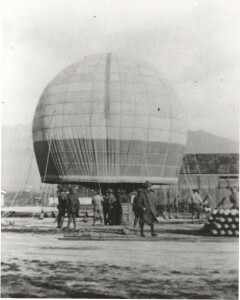 The Army operated observation balloons from Fort Kamehameha and Fort Ruger, Honolulu during the 1920s. 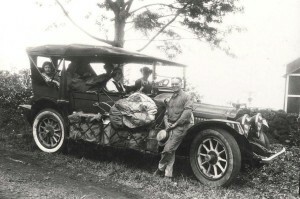 Automobiles and railroads transported travelers in the 1920s. Views of Waikiki Beach, Honolulu Harbor, Lei sellers, the Territorial Aeronautics Commission, Fort Kamehameha and the USS Langley.